Although 404 errors don’t harm your site’s indexing or ranking, you should either fix them wherever possible, or build a custom 404 error page to improve user experience on your site. 404 Page Not Found is a common issue that all webmasters face. It’s a structural issue and unavoidable. According to John Mueller from Google, the crawl errors may come from a legitimate structural issue within your website or CMS and there’s nothing you can do about it. Here are some of the commons reasons why your website may have error pages. Many webmasters believe in employing a 301 redirection to stop their visitors from landing broken pages. However, in the process, they fail to address the real intent of the visitors. If a page is broken, it’s only fair to give a brief explanation. For example, “We may have deleted or moved this page”. When it comes to fixing the 404 errors, here are a couple of myths many webmasters seem to have. According to SearchEngineWatch, it shouldn’t. The problem with this approach is the alternative page is unlikely to offer the solution the visitor is looking for. It’s better to let them see a 404 Page Not Found instead. However, it’s recommended you serve a custom 404 Error page. The problem with redirecting your 404 error page to home is that it may frustrate your visitors and hamper the user experience, especially when they have bookmarked your pages previously. It’s confusing and serving no purpose to the visitors. Broken links can originate from external sources. For example, when you change your permalink, all inbound links from external sources will show an error. Broken links can also appear within your website for the same reason as mentioned above. You can use the following tools to find the number of broken links within your website. Google Webmaster Tools – If you have created a profile on Google Webmaster Tools, you can easily see the broken links under crawl errors. Screaming Frog – One of the must-have SEO Audit tools, it’s very useful in finding a wide range of on-page SEO issues (including the 404 erros) in your website. Click here to download Screaming Frog. It’s FREE. Siteliner.com – This super useful tool tells you everything you wanted to know about your site content including the number of error pages. It’s free as well. Now that we have found the broken links, it’s time to think of creating a solution. 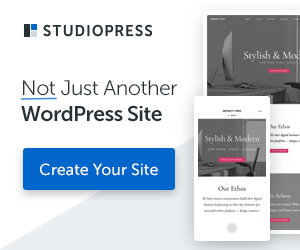 If you’re running a WordPress-driven website, it’s likely that your theme serves the default 404 error page to your visitors. Here’s what a default 404 error page on a WordPress website looks like. But as you can already see, it’s not designed well to address the visitors appropriately. Hence, there is a need to customize it further to improve user experience. Why Custom 404 Error Page? Reduces customer frustration: This is the strongest reason behind creating a custom 404 error page. Remember, a Page Not Found is always a disappointment for your visitors because it shatters their hopes of finding a solution they were hoping to see. Therefore, it’s your responsibility to try and reduce their frustration level by offering them a range of effective solutions to choose from. Linking to other parts of your website: According to Neil Patel, by creating links to a bunch of random internal pages, he was able to get more page indexed and drive more traffic. He claims to have seen this solution work for TechCrunch in the past. As per Moz, an error page should typically include the following properties. An easy to understand navigation system that helps the visitor find what they were originally searching for. Google also suggests adding a link to your sitemap on your custom 404 page can be useful to your visitors. After learning so much about the error pages on your site, it’s time to learn how to build a custom solution. The approach to building a custom 404 error page can be different based on the CMS you’re using. Coding: If your website is running on WordPress, you can either improve the default 404 error page template or create a new one. In both cases, you have to be extremely familiar with coding. 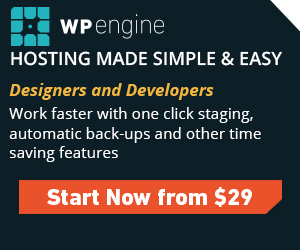 WordPress Plugins: If you’re someone find using plugin an easier route, there are a couple of WordPress 404 plugins to choose from. 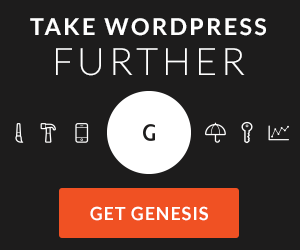 Genesis Users: If you’re using Genesis Themes, you can follow the steps in this post to improve the default 404 error page template. Here are some resources to custom 404 error page for other CMS platforms. A broken page in your website serves a real opportunity for you to bolster your branding and user experience by customizing it to perfection. By following the custom 404 error page best practices, you can effectively turn the potential disadvantage into an advantage. Susanta is the founder and chief blogger at Top League. Connect with him on LinkedIn or Follow him on Twitter.